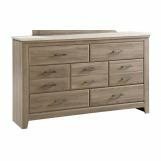 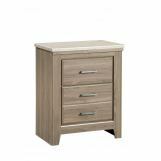 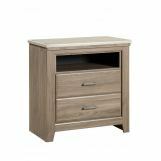 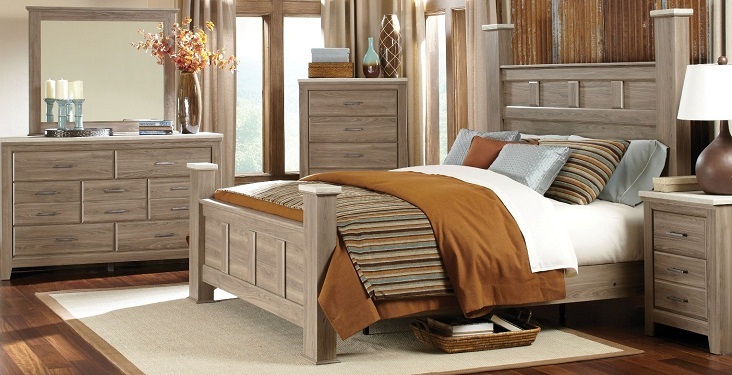 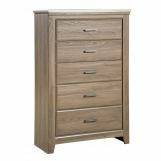 Give your master bedroom character with the Stonehill Bedroom Collection. 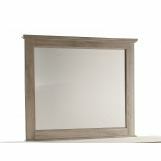 Bold proportioned cases carry a weathered oak finish and are adorned with bronze colored, antique looking hardware. 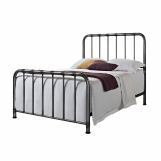 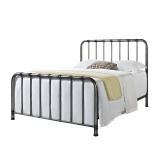 This collection features two different types of bed; The first is a poster bed and the second is a metal headboard and footboard bed. 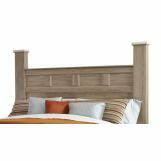 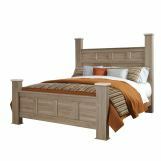 The poster bed is constructed with grand case pilasters and framed panels on the headboard and footboard. 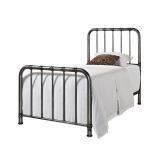 The metal frame is finished in a bronze, antique looking color that emanates a casual style. 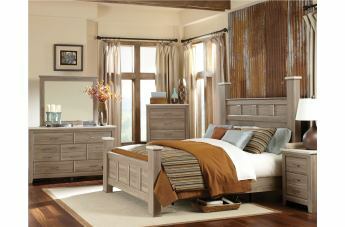 Angle cut feet, and concrete-looking tops complete the rustic design that this collection encompasses.